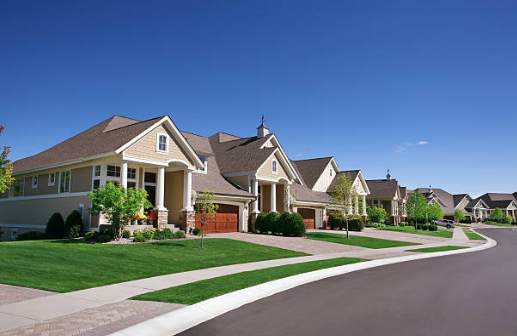 A study conducted by the National Realtors Organization says that realtors estimate as much as 30 percent of potential homebuyers will not even get out of their car if the property they’re viewing lacks “curb appeal.” The same study says that homeowners with well-landscaped properties have, on average, a 15-percent higher property value than those without well-maintained landscapes. Curb appeal—it’s one of those things that’s difficult to describe, but we recognize it when we see it. Many homeowners wonder if they can do it themselves or if they need a professional. The DIY approach is usually very satisfying and rewarding. It can save a lot of money, especially if the homeowner has the time and equipment to install their landscape project. However, if you have little or no experience with landscaping, sometimes the DIY approach can be overwhelming. Some homeowners believe if they watch a few episodes of a home/garden program they will be able to design and install a new outdoor living space. Please keep in mind that most TV home/garden shows and DIY books create a somewhat unrealistic ease with which most projects can be completed. So, when should homeowners seek professional landscaping assistance? If your project requires grade changes or has storm water management issues, you may want to seek professional guidance. Many landscape contracting firms are experienced with both of these design issues. If you are considering contacting a landscape professional, there are a few things you can do to prepare for your first meeting. Prepare a list of the things you want in your landscape: foundation planting, vegetable gardens, outdoor living space, water features, shade, privacy and play areas for children, etc. Think about what you want your landscape to look like in 5, 10, or even 20 years. What are your favorite plants and colors? What plants and colors do you dislike? How much money can you spend (yes, having a budget is an important element of planning)? Regardless if you are a do-it-yourselfer or you’re hiring a professional for the entire project, know what you want to spend on your landscape. A professional will also be able to determine if your budget and your landscape goals are compatible. If you plan to hire a professional landscaper, there are a few things you may want to consider before hiring. First and foremost, are they licensed and insured? Workers’ compensation coverage is especially important if they have employees. If a friend did not refer the landscape professional, ask for references. How long have they been in business? Are the photos on their website actual photos of their work? Whether you’re a homeowner who wants to hire someone to handle your entire project or a do-it-yourselfer who only needs a few hours of consultation, contacting a professional landscaping company can help you through the process of creating your own personalized curb appeal.